NRDC-ITA senior leadership visit Leonardo Company - February 2019 - NRDC-ITA senior leadership visit Leonardo Company. 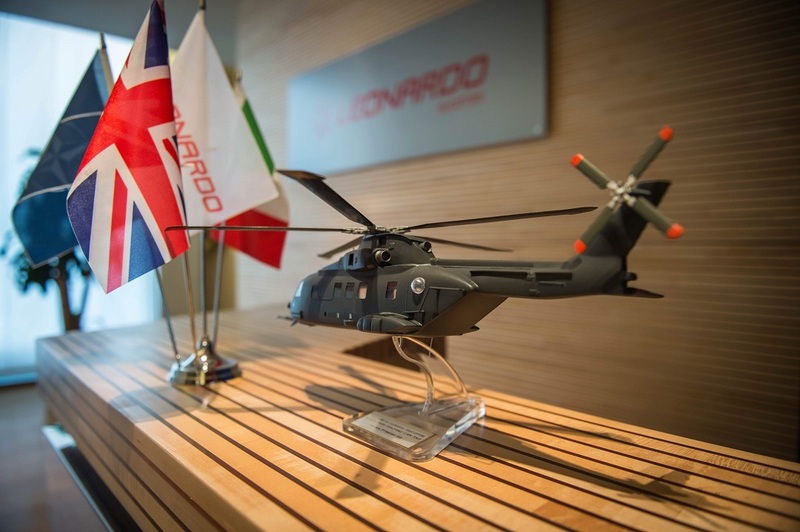 NEWS > ARCHIVE > Archive 2019 > February 2019 - NRDC-ITA senior leadership visit Leonardo Company. February 2019 - NRDC-ITA senior leadership visit Leonardo Company. 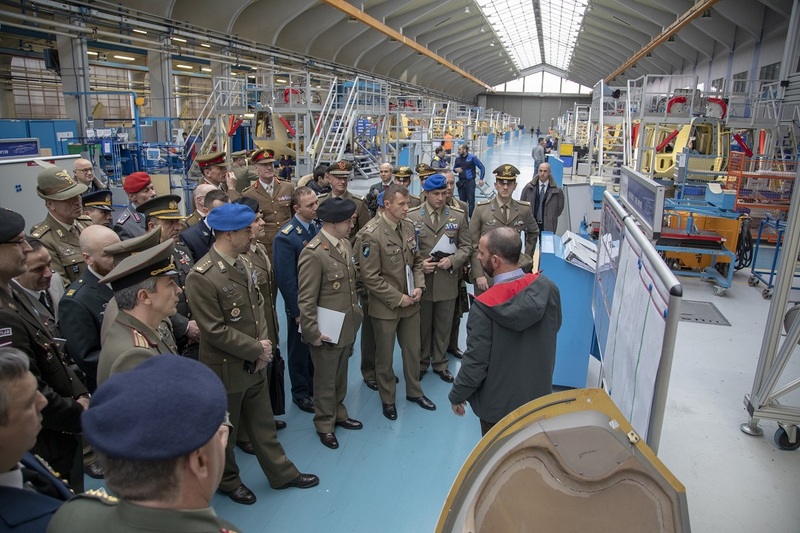 Multinational staff of the HQ NRDC-ITA visited Leonardo, a NATO industry partner and key player in aerospace, defense and security technologies. 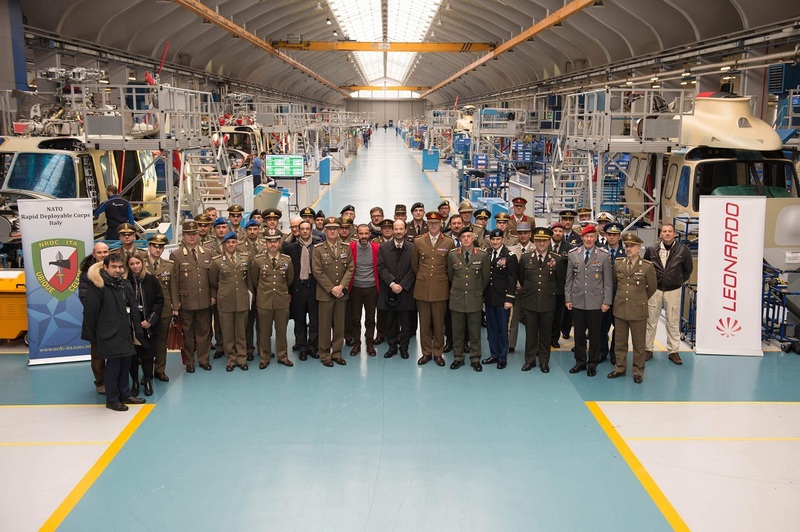 On Friday, 1 February 2019, NRDC-ITA Commander Lieutenant General Roberto Perretti and a delegation of over 30 key officers from the multinational HQ visited the Leonardo factory in Vergiate, near Varese. With a number of sites and over 45,000 personnel employed worldwide, Leonardo is a global high-tech company focused on the key sectors of aerospace, defence and security. The company plays a relevant role in the Italian and European defense industry and its innovating global outlook and Italian base make Leonardo an interesting reality for NRDC-ITA. Innovation and adaptation are key principles for NRDC-ITA that, after having recently completed its turn of duty as NATO Reaction Force Land Component Command, continues to keep its readiness and to act as training hub for staff and units from across Italy, as well as wider Alliance. In this light, the initiative has represented a profitable occasion to acquire knowledges on latest solutions thought by industry in order to face current threats and challenges to global security. During the visit, Leonardo’s leadership presented the helicopter HH-101, a key product for the company developed for performing air support to special operation, personnel recovery and search and rescue. Furthermore, latest company projects to support Armed Forces for symmetric operations in contested air, EW and cyberspace have been shown such as command and control posts, battle space management and unmanned surveillance systems. Particular interest was aroused by the AW609 convertiplane, a multi-role aircraft that can be configured for both commercial and military applications, the next generation of aircraft transport for the company. Building cooperation with stakeholders and local actors is an important commitment for NRDC-ITA, as it enhances its role of a ready, capable and adaptive organization among defense and security providers, proud to contribute to the overall Alliance policies for a safe and stable environment.